We all know that even though we may like to do things, such as playing sports, cooking, reading, and gardening, we don’t always do these things. Why? My least favorite four letter word holds the answer: T-I-M-E. It’s a mystery how it escapes us somedays (except when we get distracted watching Michael Bublé videos…or is that just me? ), but we never seem to have enough. As a result, the things we like to do become the things that we do occasionally. But wouldn’t it be awesome if “occasionally” didn’t have to mean once a month or worse? What if it could be more often? What would it take? Consider the hobby of cooking. For a woman who can work anywhere from eight to thirteen hours a day, there is one thing that will ALWAYS get in my way…TIME. So I have learned to cut corners! Wam-bam-thank-you-ma’am! These moments come at me usually after 8 o’clock at night when I am starving and really really over peanut butter and jelly. Tonight, my gastronomic obsession with gnocchi and a pack of this potato goodness purchased 4 months ago is what inspired me. I wondered why I had passed it up for months and, stay with me as I realize that this sounds like the LAZIEST thing ever. It shamefully hit me that I literally couldn’t be bothered to boil the water! And with gnocchi, it’s not just the boiling! You gotta make sure those royal pillows don’t get stuck to the bottom of your pan (apparently they have separation anxiety)! Then you gotta catch the suckers as soon as they float to the top and gingerly spoon them out three at a time while all of the other ones cry out at you, “I’m melting! I’m melting! Oh, what a world, what a world!” (yes…my food talks to me. Deal with it.). I see this starchy drama unfold in my mind each time I look at the package, shudder, and go for the jar of Trader Joes Creamy PB. 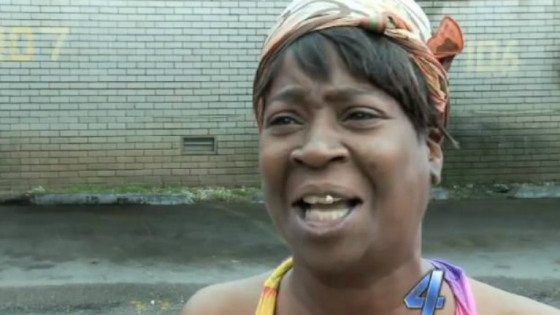 Well, tonight, I decided to conquer the divas and treat them like bronchitis, cuz even Sweet Brown knows that ain’t nobody got time for that. Say “hello” to my epiphany. All lazy anti-water-boilers out there, you’re welcome. 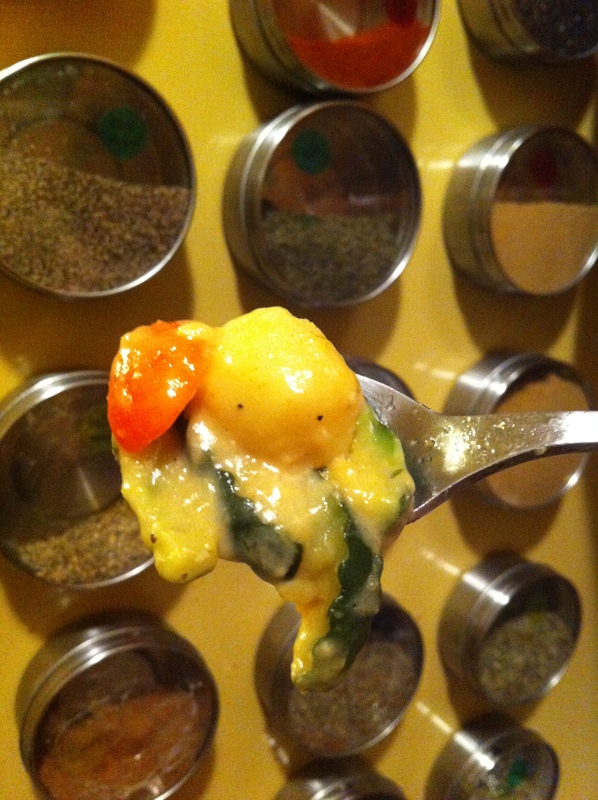 In 18 minutes I had a delicious, nutritious and warm homemade bowl of Gnocchi Primavera that used to take me 25 minutes. And the only reason that this didn’t take less time is because I had to run outside to my garden for tomatoes and herby goodness. Forgive my lack of preparation. 1. Heat olive oil in cast-iron skillet/pan (I’m a Le Creuset fan). 2. Throw in and toss garlic until browned. 3. 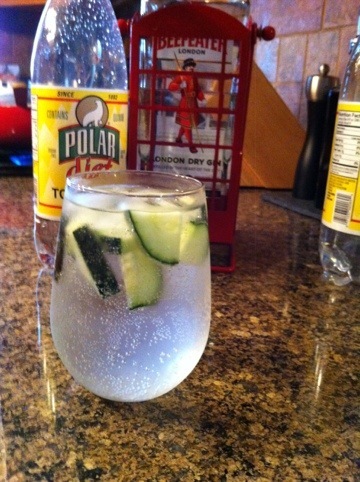 Throw in and toss zucchini until ice melts. Keep burners on medium-high heat. 4. Dump in gnocchi pillows and toss in mixture for 2 minutes until evenly coated and warmed. 6. Slice tomates lengthwise. Wash herbs and let sit; Do not dry or cut. 7. Stir gnocchi and add in parmiggiano. Cover again and cook for 2 more minutes. 8. Add tomatoes to gnocchi. 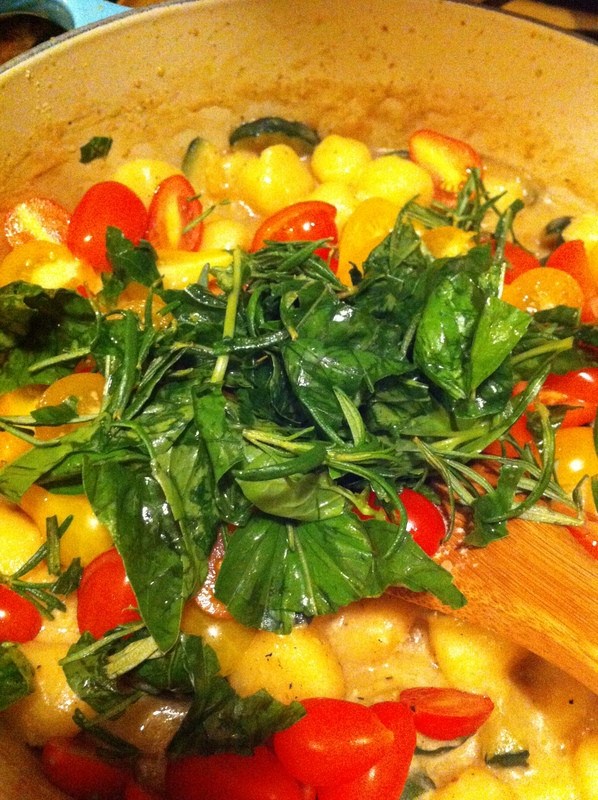 In your hands, gather all of the herbs and tear in chunks over the gnocchi. Once again, you could chop them but a) I like the rustic, non-uniform look it gives, b) I love that herbal burst of Italy that mates with the steam for a Aroma Therapy baby and 3) I aint’ got no time for that. 9. Toss tomatoes and herbs until evenly mixed. Cover and let cook for another 3 minutes. As creatures of habit and hesitant towards change, there are times when even the most adventurous of humans struggle with giving things a chance, especially when it comes to trying new foods. For me, I have always resisted the humble plum. I have eaten plums at homes of friends with pleasure. If one were to inquire of my opinion regarding this specific rock fruit, I would reply with positivity. I would even go on to describe them as juicy, sweet, tender, and excellent for cooking. Nonetheless, each week when I go shopping at Silver Barn market, I pass by the lovely display of locally grown plums, and each week I continue pushing my cart on by. Do not ask me why. It would likely play out like a Dr. Seuss story as I would proceed to confuse you with all sorts of riddling explanations as to why I never buy this particular fruit. Pretty soon your head would be spinning, then my head would be spinning, and before we could effectively end the discussion, we would both be searching for the nearest barf bag. However, sometimes, what one needs is a gentle push in the right direction. Or, if you’re me, with stubborn German roots, it requires something resembling…more of a kick in the pants. Last Saturday, I stopped by my friends’ house to pick them up for a night out in Astoria. Seeing their parents in the front yard, I hopped out to say my “hellos” and get my usual “don’t get into too much trouble there, Juhl-child”. While I was chitchatting about their newest landscape project, I found my friend talking to me in the background about her recent interaction with an Ecuadorian neighbor. Trying to multi-task, I nodded along to both conversations simultaneously – (always dangerous and yet I never learn). Beware – you will ALWAYS say, “yes” to something you don’t want or need. It’s like my sister, who at a naïve 23, had to be told by her Parisian friend to stop saying “Oui” to anything she didn’t understand. “You’re going to end up married to an Arab and in the African district if you’re not too careful!” Ignoring this universal advice, I headed back to the car and realized that I had just agreed to a bag full of plums. OF ALL FRUIT – REALLY??!! Apparently my friend had similarly been bamboozled by her Polish neighbor who asked if she liked plums – “ahhh I have a tree – no can eat it all. Here four bags!” So like a good friend, she “paid it forward” and bamboozled me into my very own bag. How nice. Fortunately, my conniving culinary brain began working and I decided to similarly “pay it forward”. 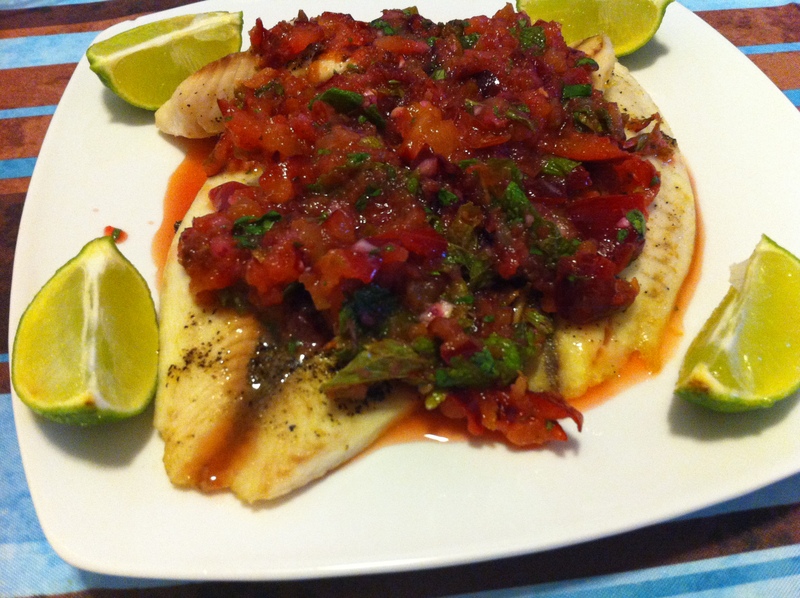 I had a friend for lunch today and prepared tilapia with plum mint salsa. 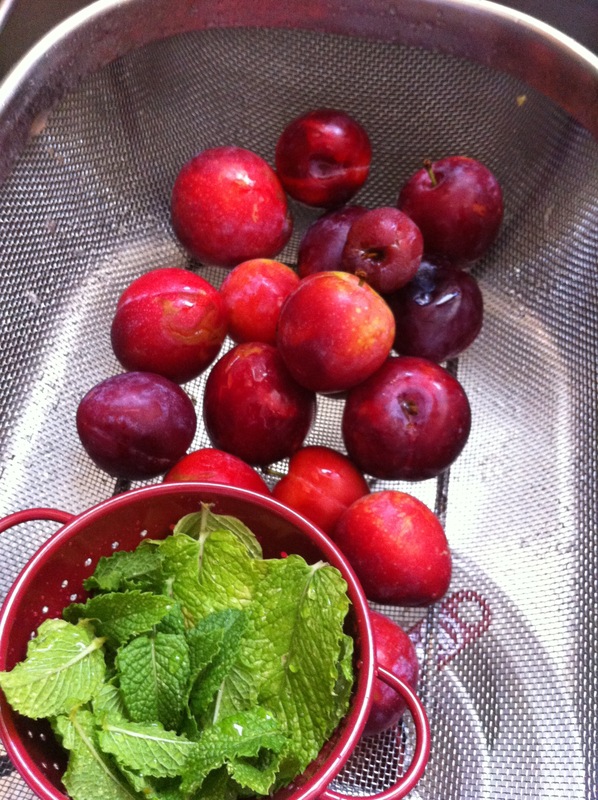 The funniest part of this whole story – my friend doesn’t really like plums. Muahahahahahahaha! My little plums all washed and ready to be married to their beautiful mint friend. The final product which my friend and I quickly devoured with pleasure. A successful “kick in the pants” indeed! 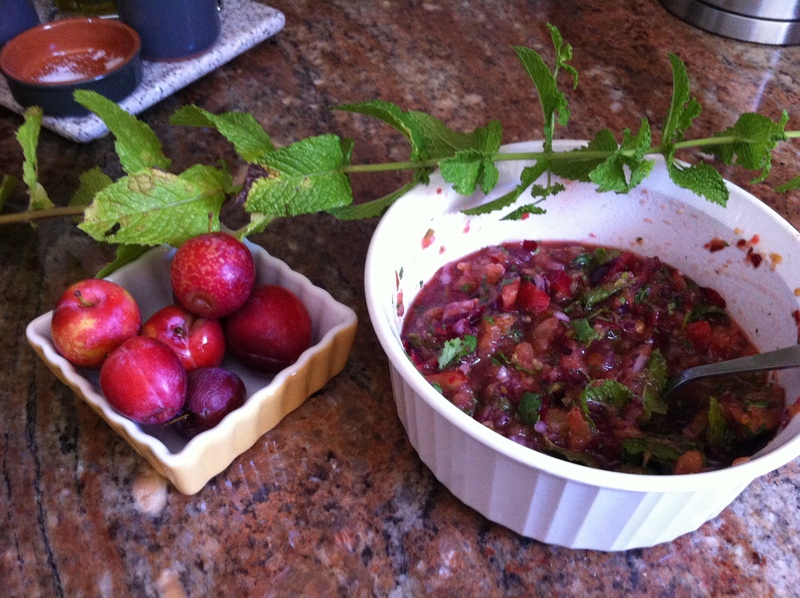 Put plums in a bowl with onion, cilantro, mint, and jalepeno. Add lime juice, salt, and Stevia and mix until combined. Serve immediately or refrigerate until ready to serve. Preheat broiler on High in your oven. Grease a baking sheet with Pam, then place filets on sheet. Generously sprinkle both sides of each filet with salt and pepper. Drizzle filets with olive oil. Broil until cooked to desired temperature (I prefer my tilapia to be medium-well, so I cooked mine for 8 minutes), depending on the thickness. Transfer the fish to a serving platter and spoon the plum salsa generously over. Garnish with lime wedges and serve immediately. Now that I have conquered my inexplicable fear of the plum, does anyone have any suggestions on what to do with my-new found gastronomical friend?! For those who know me personally, I have recently left my job off two-and-a-half years to finally pursue my passions. So, as I sat in Mamela’s kitchen two Tuesdays ago, contemplating why the world spins and why I had quit my job, I decided that I needed to finally DO the things I keep SAYING I will get around to. Staring at me was a copy of Jamie Oliver’s cookbook “The Naked Chef”, a book by a person I greatly admire and relate to in food philosophy. Unfortunately, this specific book of his had always been on my to-do list. So with an hour before dinner to kill, I cracked it open to page one and was immediately immersed until I reached page eleven. Then, I simply became inspired. Jamie managed to put in ink what I always have thought – that store-bought herbs is nearly tantamount to “cruel and unusual punishment”. Before you dubb me “Rachel’sDramaticDelusions”, hear me out. Many are all too familiar with the high costs of packaged fresh herbs that are only good for two days, forcing you to only buy herbs when you know that you will immediately use them. I do not know about you, but I do not like being told when I can have my favorite pesto gnocchi. Enter the genius argument for home-grown herb plants. While this rules out my wheelbarrow, my family and I have definitely not let the lack of fresh arable land to hold us back or constrain our eating habits. Mamela interrupted my delusional daydream to ask what kind of starch I wanted with my grilled steak. Leaving her confused, I rand out to the back of their house to our shared garden and began snipping away. 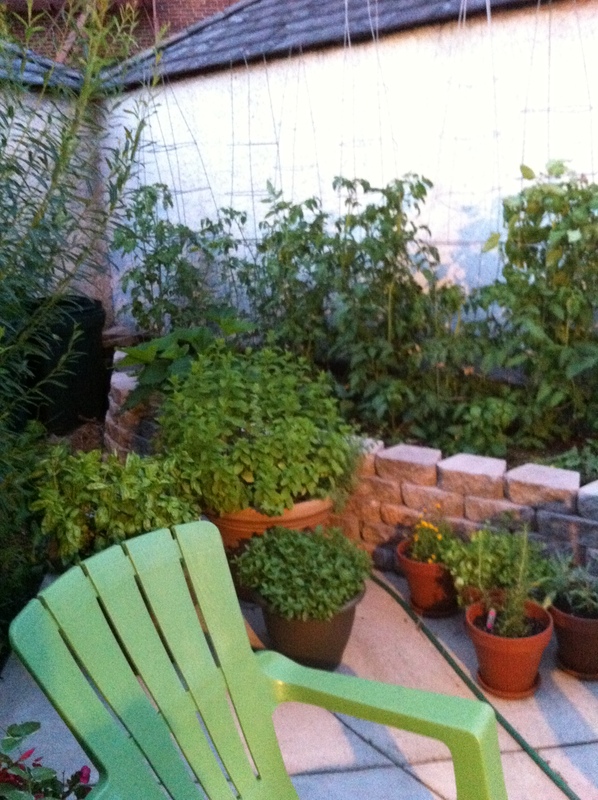 Just like Jamie said, the perfume of fresh mint and rosemary on my fingertips gave me a calm feeling as dusk settled in and a warm summer breeze rustled through my dad’s tomatoes. In an hour, I was sitting on Mamela’s terrace under the twinklelights and listening to my dad rant and rave about the refreshing sensation my roasted potatoes gave his palette. 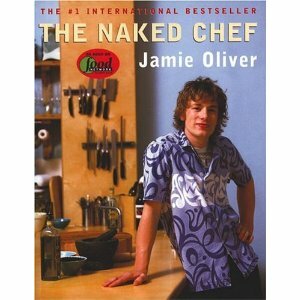 I sat there, sipping my g’n’t, and thanked “The Naked Chef”. 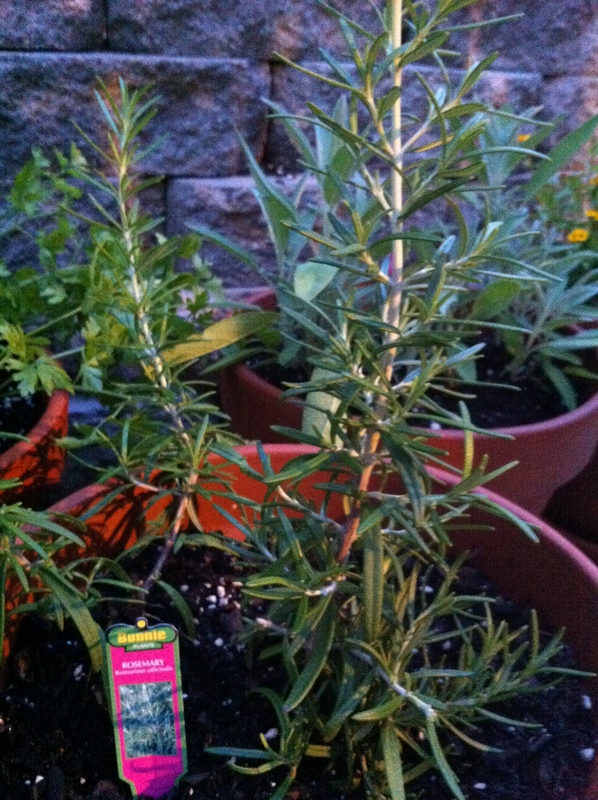 Our sweet rosemary doing its best to keep up with its herbal friends. 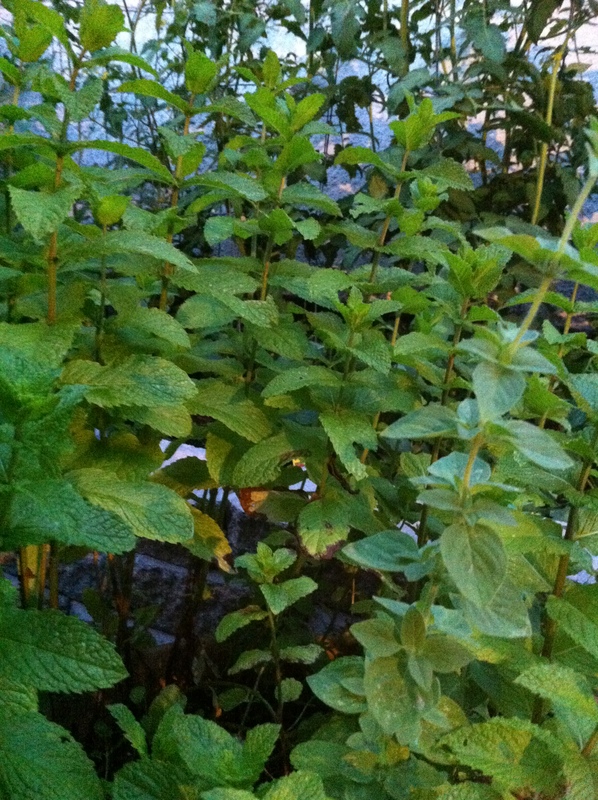 Our mint that came back with such a vengeance this season that we had to exile him to his very own and larger pot. 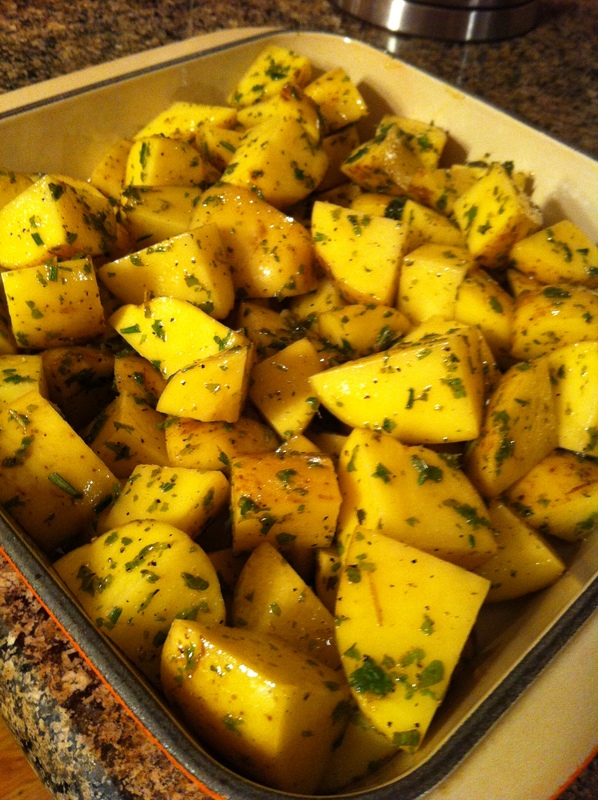 Yukon gold potatoes tossed in mint and rosemary pesto before baking. 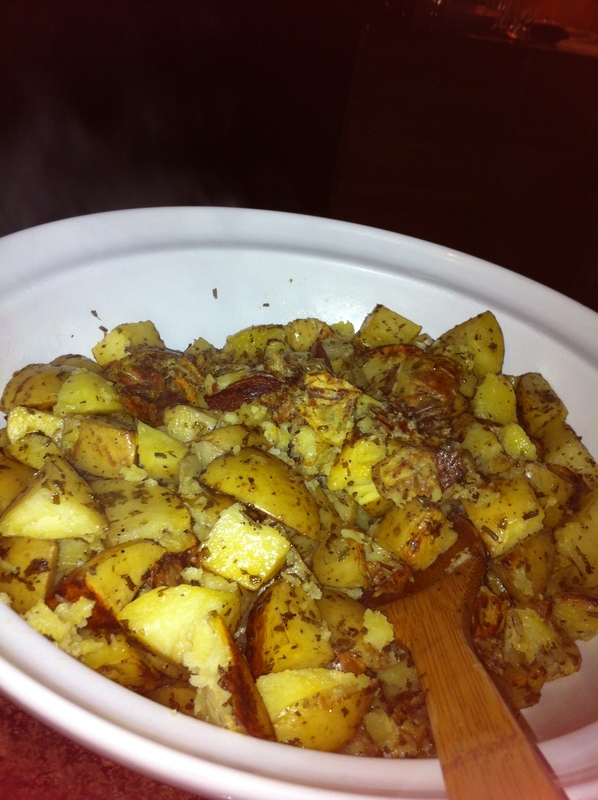 Roasted mint and rosemary potatoes ready to be savored. All of us have experienced that awkward moment when we can’t remember what we ate for dinner last night. Even worse, is when you can’t remember what you ate for breakfast just three hours ago. This is what we have become – a nation of eating people who are so “productive” that we can even tweet, phone conference, sign documents, and book next month’s vacation all while we eat breakfast. However, we begin to veer off the road to productivity and crash towards inefficiency when our original plan for a nutritious and measured bowl of Special K turns into the Lake Michigan of carbohydrates and lactose. Oops, guess we shouldn’t be on that phone call while pouring the box, huh? You may reason that you are not going to eat it all, that you can say, “no”? That would work if you weren’t currently too busy replying to inner-office emails and looking over your day’s schedule to notice that the bowl is now empty. You have now eaten too much without even knowing it. But, wait, again you reason that it is ok because you plan on skipping lunch. Epic failure continues as your coworker proceeds to bust out a bag of chips and while you are Dr. Phil-ing her on her boyfriend woes, you’ve now eaten half of the bag…again, without even knowing it. Mindless eating propelled by emotions is a guaranteed way to pack on the pounds…without even knowing it. In the last ten years I have heard and tried all sorts of tricks to help me slow down and enjoy my meals, in an effort to then actually eat less. Many have worked like setting the fork down in between each bite or not taking another bite until the previous one is completely swallowed (don’t judge – you know you’ve done the “two-handed shovel” before). Recently, my friend Mariel (from So What’s Bloomin‘? ) sent me a link to a New York Times article that reinforced the dilemma of “mindless eating”, but proposed a solution I had not considered – “mindful eating”. With food being more than just mere sustenance, this concept of literally mulling over each bite so as to have a better experience is incredibly attractive to me. So, I gave the article a read and while I do not ascribe to any segment of Buddhism or Catholicism, these monks have got more than just beer figured out! Take a read for yourself and if you don’t start packing your bags to head up-state to join the others in silent eating, at least you’ll have some food for thought next time you stop for a meal. Alternative Sweeteners: Friend or Foe? La Tortilla Factory: Let’s wrap it up!